On March 31, 2019, Noel Von Garrett went to be with the Lord. Born on June 20, 1932, he was raised in Owensville, IN, and currently lived in Gambrills, MD. Son of Darrell and Verna Mae Garrett. He is survived by his wife Dolores. Three days before his passing they celebrated 65 years of marriage. Two daughters, Connie LaBruyere (Larry, Husband); Kathy Huggard (Greig, Husband); and one son, Andrew Garrett (Dora, Wife). Along with 8 grandchildren and 12 great grandchildren .He graduated from Owensville High School and studied 2 years at Purdue University before joining the Army in 1953. He served 3 years in Germany before retiring with an honorable discharge. He was a Master Electrician and worked for General Motors for 25 years. After retiring from GM he worked in Real Estate. 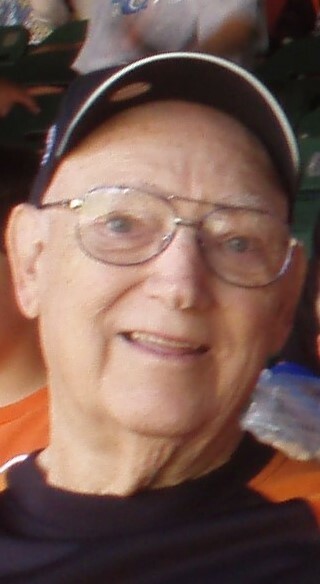 Noel loved to hunt, fish, golf and enjoyed season ticket to the Orioles Games. He worshiped at the Cornerstone Assembly of God in Bowie, MD.